Gauri Khan with the award. Renowned interior designer and co-owner of Red Chillies Entertainment, Gauri Khan debuts on the list of Fortune India’s 50 Most Powerful Women in business this year. The interior designer, who has decorated many celebrity homes and popular restaurants was a part of an insightful chat at the award ceremony held last evening. Gauri Khan who has been a game changer spoke at length about her journey of being an interior designer. Bollywood’s go-to designer, Gauri Khan is not only known to revamp celeb homes but also for her tie-up with various International brands and local designers. 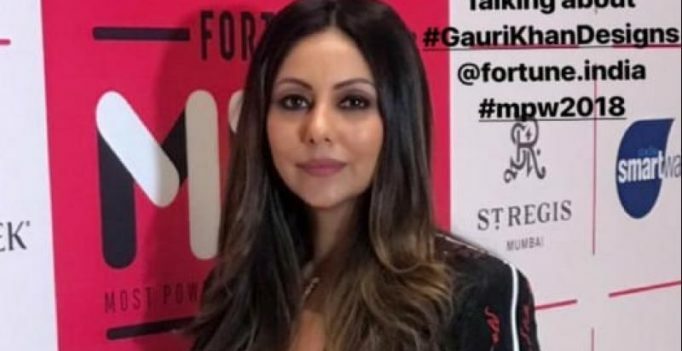 Fortune India’s list features some really powerful women who have achieved great heights in their respective fields, Gauri Khan being one of them recognized for Gauri Khan Designs.